Butterflies are pollinators which means they have a very important role in the life-cycle of many different plants. Many of them are also threatened due to habitat loss and pesticide use. Start a butterfly garden in your yard to attract these important insects, help pollinators thrive and add beauty to your yard. 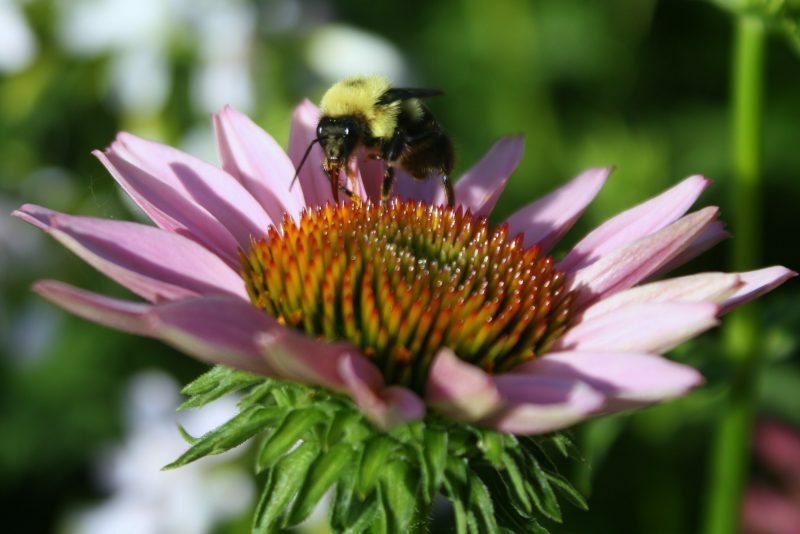 What is a pollinator and why is pollination important? Pollination occurs when pollen from a flower’s male parts, called anthers, are moved to the female parts, called stigma, of the same species of flower. From the stigma the pollen grains move to the ovary where fertilization occurs resulting in seeds. A pollinator is an animal that moves pollen from one flower to another which fertilizes the plant. Only fertilized plants may produce fruit or seeds; without these the plant cannot reproduce. As a result pollinators are almost as important to a plant as sun, water, and soil. Over 75% of the world’s flowering plants reproduce with the help of pollinators including over 150 food crops in the United States. Other plants are pollinated by wind or water. Most plants produce nectar to attract pollinators. As the critters consume the nectar they inadvertently collect pollen and transfer it as they move between flowers. 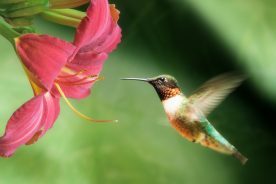 What kinds of animals are pollinators? There are more than 100,000 different animal species worldwide that help pollinate plants. Nearly all those are insects, but almost 1,500 of those are vertebrates (animals with a backbone) such as hummingbirds or bats. Insect pollinators are generally bees and butterflies. A pollinator is generally highly mobile allowing it to move from flower to flower collecting nectar. They have hairs, scales or feathers in which the pollen grains get caught and then brushed off on the next flower. They also generally have specialized mouth parts to help collect nectar. When pollen is moved from one plant to another (instead of pollen from one flower to another on the same plant) it is called cross pollination. Cross pollination helps produce plants that have a greater genetic diversity allowing the plant species to withstand greater environmental changes. Pollinators are not only great for your garden, but great for the environment! Why do pollinators need help? Pollinator populations, in general, are declining. This is mostly due to habitat loss and degradation, including the spread of invasive, non-native species. An overuse of pesticides and the spread of disease introduced by non-native species are also contributing to the decline of pollinators. 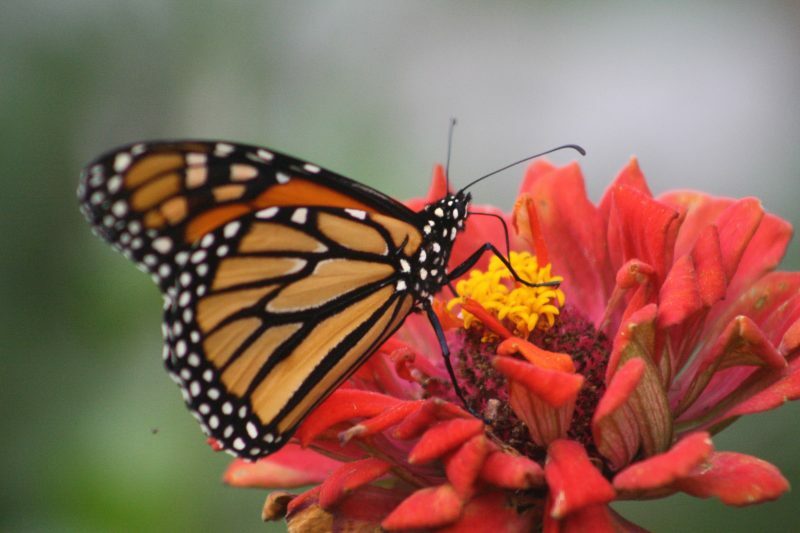 By creating a butterfly garden in your yard you can help pollinator species thrive. The life cycle of a butterfly includes four stages: egg, larva, pupa, adult. This process is called metamorphosis and depending on the type of butterfly the amount of time spent in each phase varies. The life of a butterfly begins as an egg. Butterfly eggs vary between species, but are generally small and cylindrical, usually white, yellow, or brown in color. Eggs are laid on the leaves of the host plant specific to that species. The larval stage of a butterfly are caterpillars. From the egg a caterpillar emerges and spends most of its time eating. Caterpillars eat the leaves of they host plant (where they were laid) and grow quickly. The exoskeleton of a caterpillar does not stretch as the caterpillar grows, so they instead grow by molting, or shedding, the outer layer of skin. This happens several time in the larval stage. 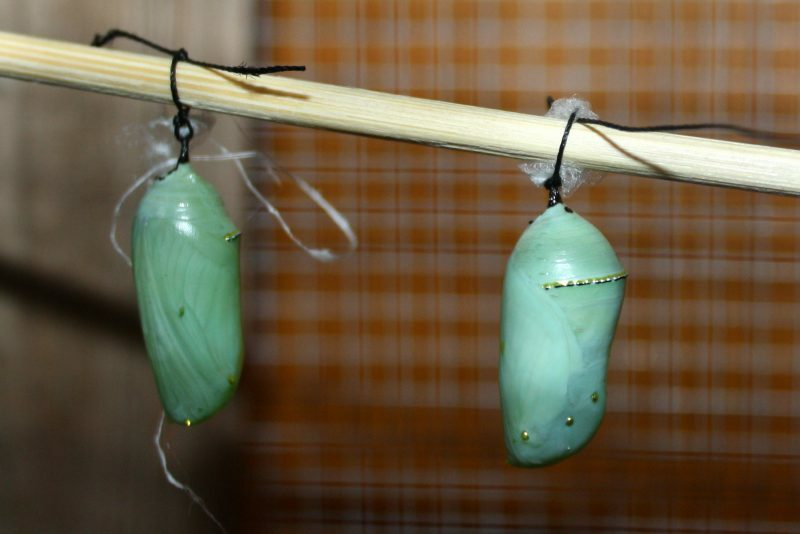 The pupa, or chrysalis, stage is the transition from caterpillar to butterfly. When the caterpillar has finished growing it forms a cocoon around itself so that it may transform. Inside the pupa the caterpillar is undergoing metamorphosis to turn into a butterfly. After the transformation inside the pupa an adult butterfly emerges. When the butterfly first emerges from the pupa its wings are soft and folded against its body. It will hang from the pupa to pump blood into the wings to get them working. 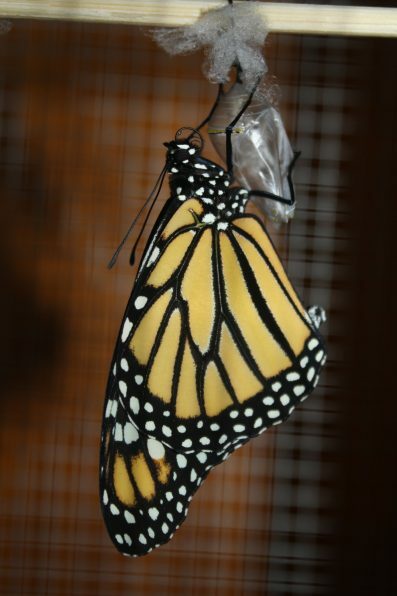 Within a few hours of emerging from the chrysalis the butterfly is ready to fly and begin life as a butterfly. Shortly after beginning to fly they will search for a mate to reproduce and begin a new life cycle. The first thing to consider when planning your garden is the location. Pick a sunny spot that receives at least 6 hours a day. The garden should have full sun from mid-morning to mid-afternoon as butterflies generally only feed in the sun. Try to pick an area that is some-what protected by the wind. The soil quality is also something to consider. If your soil is too rocky, acidic, or mostly clay you may need to add compost or topsoil. The size of the garden depends on how much space you have. It can be one pot or the whole yard. Butterflies need two types of plants in their lifecycle. The host plant is the plant the caterpillars live on and the nectar plant is the plant that is consumed by the adult butterfly. Butterflies lay eggs on the host plant which will hatch into caterpillars. The caterpillars eat the leaves of the host plant, but do not cause damage to the plant. If you see caterpillars on your plants, don’t destroy them! The species of host plant will be different for each species of butterfly. Some butterflies have several host plants some only have one type of host plant. Monarch butterflies, for example, lay eggs on milkweed only. 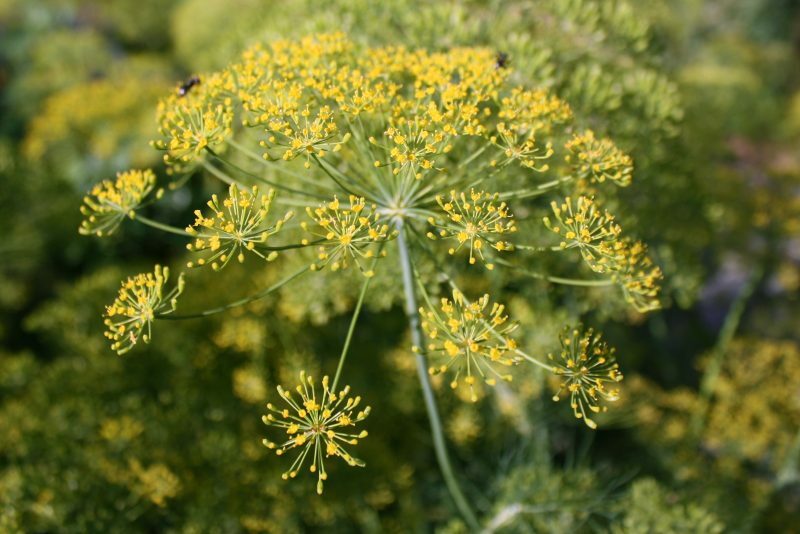 Black swallowtail butterflies lays eggs on parsley, dill, or Queen Anne’s lace. Determine what butterflies visit your area and what their specific host plant is to help decide what host plants to purchase. 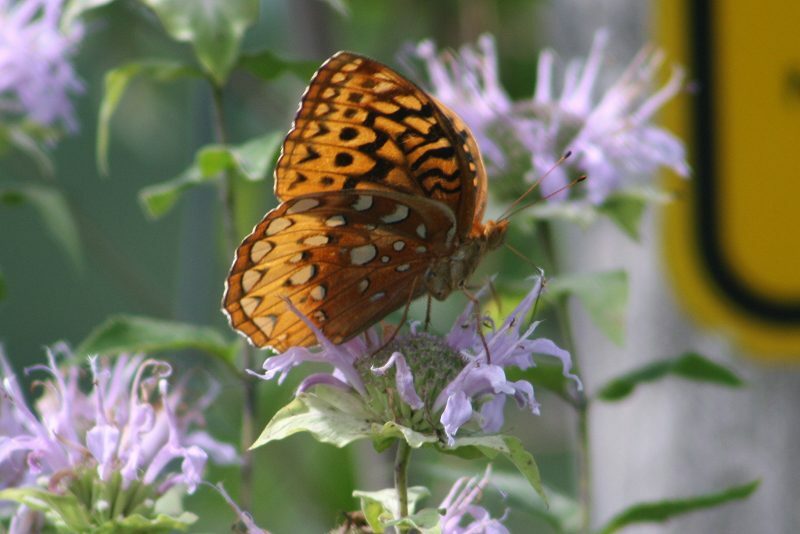 Nectar plants provide food for adult butterflies. The diet of butterflies is generally much more varied than the caterpillars. Examples of typical nectar plants include asters and coneflowers. Be sure to select a few different kinds of flowers that bloom at different times so you can provide food for the pollinators all season long. Try to include enough plants so that one flower begins blooming as another is ending. Select flowers of various heights to create tiers in the garden for visual interest and variety. One plant to avoid is the butterfly bush. It does attract many butterflies, but is not very nutritious. 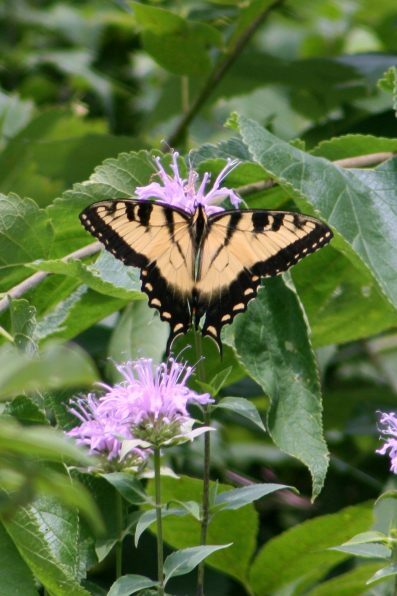 When selecting plants for your butterfly garden do your best to find native species. Native species will grow better in your area and are more likely to attract the butterflies. Native plants and native wildlife have evolved together to form symbiotic relationships. These plants, butterflies and other wildlife depend on each other for survival and reproduction. A plant is native if it has occurred naturally in a region, habitat or ecosystem without human introduction. Plants that grow in other areas of the world and have been domesticated or cultivated by humans do not support native habitats. These domesticated form do not exist in the wild and in some cases my do more harm than good. They may become invasive and can destroy the native habitat. Native plants are also most suited to grow in your area. They have adapted to the soil, moisture, and weather in your area and will thrive. As a result they are easy to grow and require much less maintenance on your part. You will not need to water as frequently and pest problems can easily be handled without toxic pesticides. To assist in your search for native species for your area or state check out the wildflower database from the Wildflower Center or the Native Plant Finder from the National Wildlife Federation. To purchase native plants look for a local nursery that grow their own plants locally rather than purchasing them. Buy plants that have NOT been treated with pesticides, specifically those in the class of neonicotinoids. These pesticides are absorbed by the plant and will kill insects including the beneficial butterflies and bees you are trying to attract. 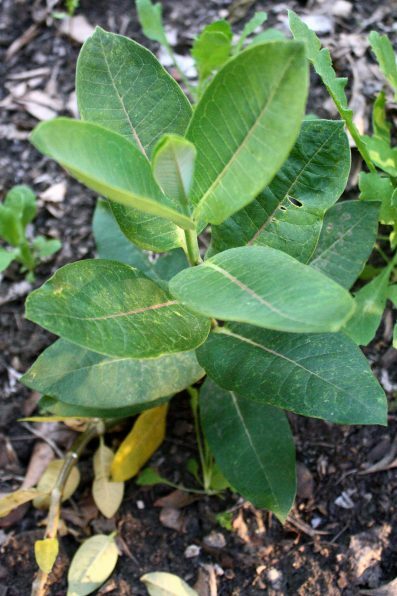 Buy plants that have been nursery propagated rather than collected in the wild. Wild collected plants may, instead, cause damage to natural areas. Use the nursery finder tool to locate a plant nursery or organization in your area that will supply you with native plants or seeds. Once you have your native host and nectar plants selected it is time to start planting. 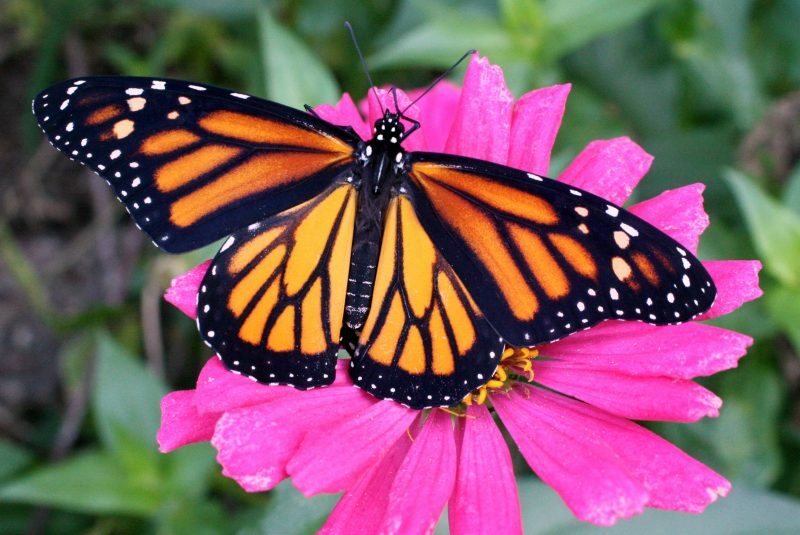 Butterflies are attracted to color, specifically red, orange, yellow, and purple flowers. Plant your flowers in groups or clumps or about 3-5 of the same species. This will create large splashes of color that will be easier for the butterflies to see. Place taller plants in the back of the garden and lower ones in the front. Try to space the flowers based on bloom time so that spring-blooming and summer-blooming flowers are well-spaced through-out the garden. Native plants don’t require much in the way of upkeep other than weeding and watering as needed. Do not use pesticides in your garden. These will kill the butterflies and caterpillars you are trying to attract to your garden. Native species, in general, will have few pests and are more tolerant. 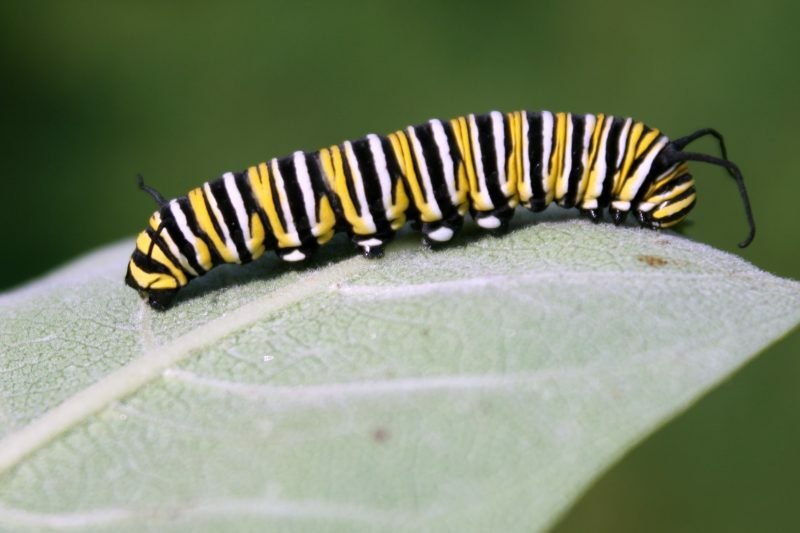 Lightly-chewed leaves are a sign of caterpillars so don’t be alarmed. 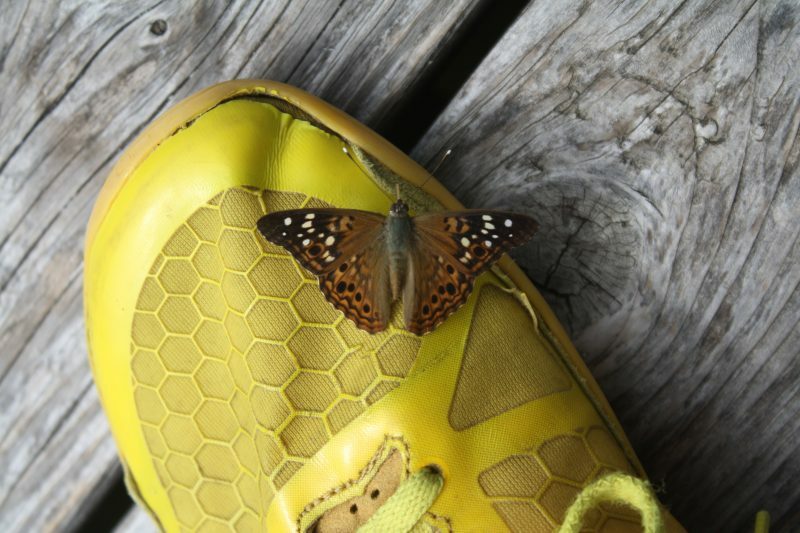 In addition to your host and nectar plants consider adding other amenities for the butterflies. Add some flat rocks in a sunny location as well as cool, shady locations. Butterflies can use these rocks to help regulate their internal temperature. If your garden is in a windy location add some shrubs as a wind break. Add a birdbath or other water feature. Be sure the water is shallow. You can also fill a shallow pan with sand and keep the sand moist. Butterflies often congregate on wet sand or mud to extract water and minerals from the wet sand. This behavior is known as puddling. A list of butterflies, their host plants and common nectar plants can be found below. This is not an exhaustive list. 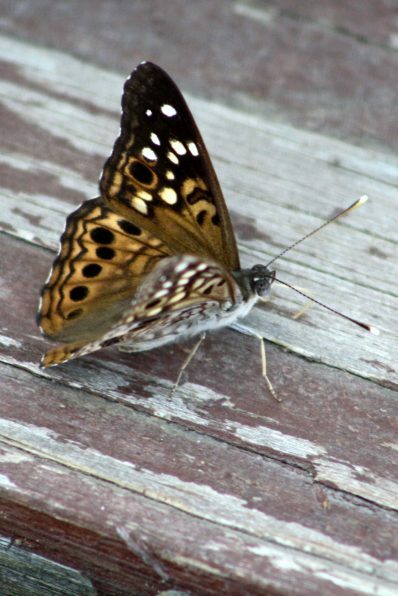 Be sure to determine what butterflies visit your area.